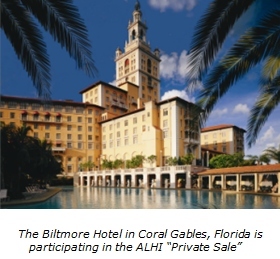 If you have meetings or programs for 2014 for which you have not yet selected your hotel or resort venue, you should take advantage of the “2014 ALHI Private Sale” promotion for 2014 programs that was just launched by Associated Luxury Hotels International (ALHI). Available exclusively through the ALHI Global Sales Organization (GSO) for new business booked at participating ALHI member hotels and resorts for 2014, the “Private Sale” assists planners, and the organizations they serve, to save on their 2014 programs. Organisers of the annual IMEX in Frankfurt trade show for the international meetings, incentive travel and events industry have announced their final, extensive professional education programme for the 2014 Messe Frankfurt show. The 15th edition of the Meetings Technology Expo (MTE) will take place at the Donald E. Stevens Convention Center in Rosemont, IL. In addition to an exhibit hall filled with leading technology vendors, the event offers 17 CMP and CAE accredited sessions, 35 plus tech demos, and pre-set one-on-one meetings. Learn more about the Meetings Technology Expo. The Kuala Lumpur Convention Centre is the city’s most technologically–advanced, purpose-built facility for conventions, tradeshows, public exhibitions, entertainment and even, intimate private functions, offering flexible meeting and event space, including two auditoriums seating 3,500 and 500 people, a banquet hall, six exhibition halls and 20 meeting rooms. Learn more about the Kuala Lumpur Convention Centre. Hilton Woodland Hills/Los Angeles has welcomed Mr. Deepak Mehra as the new General Manager. He brings 20 years of Hotel Management experience and most recently served as General Manager at Kimpton Hotels, San Francisco. Mr. Mehra will oversee the upcoming renovation of all guest rooms, public areas & meeting space. Learn more about the Hilton Woodland Hills/Los Angeles. Visit ConventionPlanit.com at Booth #3101. Stop by our booth to enter our Grand Prize trip for two to Anchorage, Alaska! Learn more about The Springtime Expo.